Calm & Relaxed DOON collection. Calm &amp; Relaxed DOON collection. Calm, sorbet colours along with a minimal design set the mood of this chic and chromatic collection. 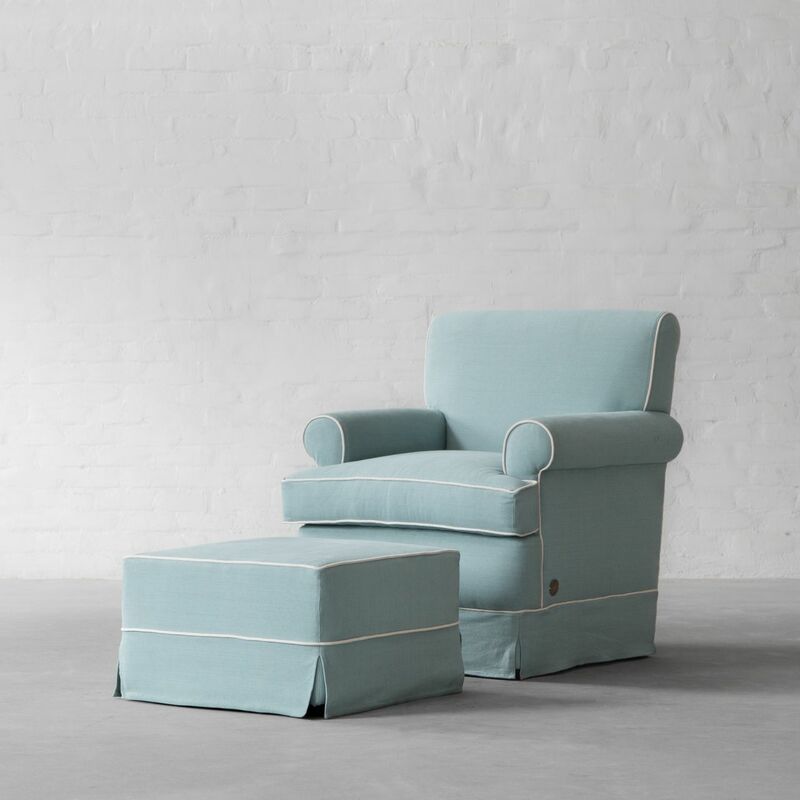 Doon armchair offers sumptuous comfort in a compact footprint. Distinguished by set-back rolled arms, skirting detailing around the hem and subtle complimenting welting on the edges, this armchair is bound to steal your heart and charm its way into your home. Providing your feet the comfort they need or acting as an extra seating when required; sit or stretch out on your sofa with this ottoman and you will find it difficult to leave. Unwind after a hard day's work or simply stretch out on this cozy and relaxing combination.